The Hyatt Atlanta Perimeter - Villa Christina offers a prime location in Atlanta, inside the Perimeter and just minutes from Buckhead. The first new full service hotel built in the Atlanta area in 25 years, the Hyatt Atlanta Perimeter offers all the comforts of home. 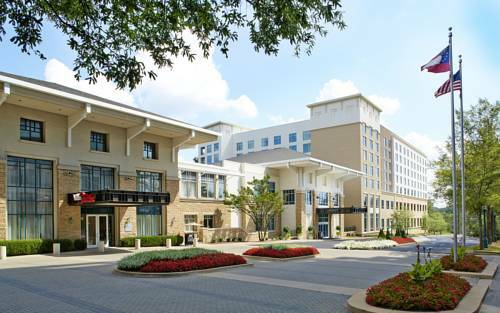 Situated adjacent to Villa Christina at Perimeter Summit, Atlanta's favorite destination for weddings, events, and business meetings, the Hyatt invites you to sit back, relax and enjoy your stay! Perimeter Summit is home to meeting & conference facilities, a Nature Conservation Area, walking trails, and multiple dining options. Hotel is located inside the Perimeter and just minutes from Buckhead. Situated in an 83 acre development that offers meeting and conference facilities, wedding and fine dining venue, and multiple dining and retail options. Take a tour of Italy when you visit Villa Christina! Offering an abudance of freshly prepared meals, Villa Christina is open for breakfast, lunch and dinner.